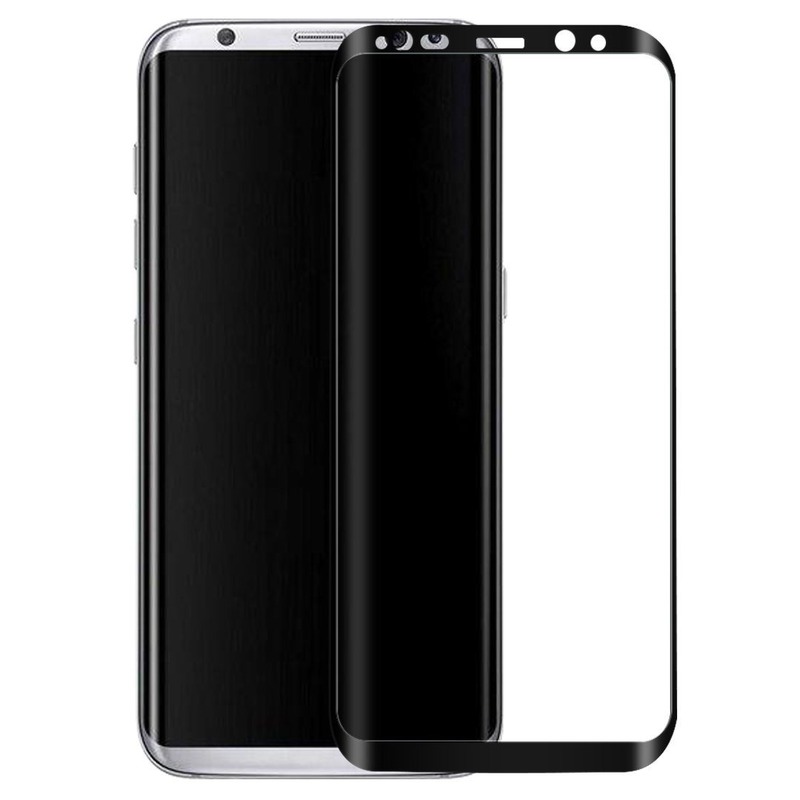 Yesterday, we came to know that the bigger model of Galaxy S8 will be named as Galaxy S8+ instead if S8 Plus. This is not a very significant change in the name, but because Apple also launches a ‘Plus’ model every year, Samsung surely wants to be different. 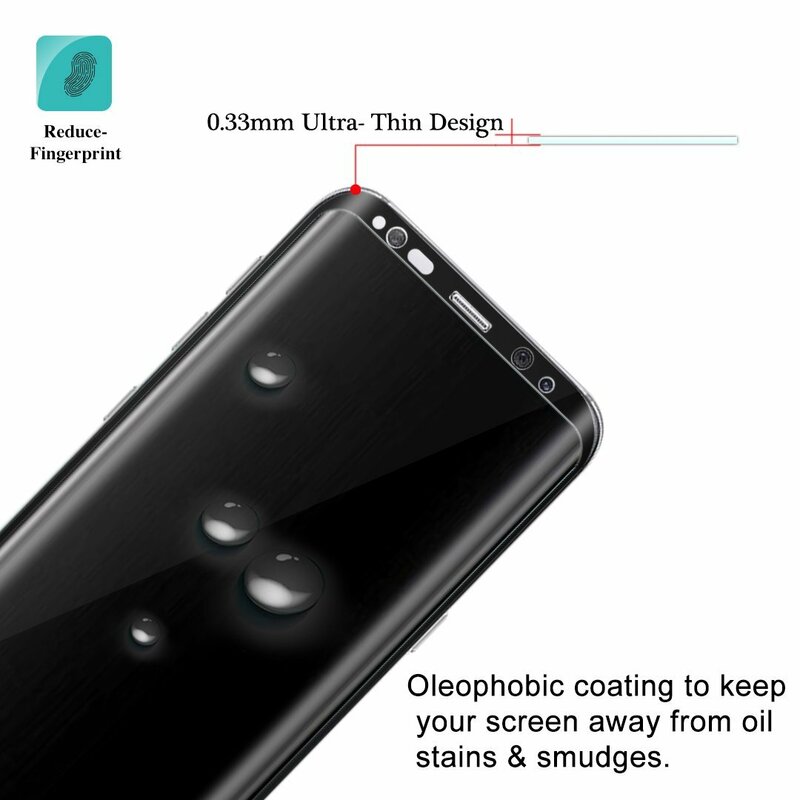 We have the information already that the S8+ will feature a big 6.2-inch Quad HD SUPER AMOLED display and today, the Screen Protector of the Galaxy S8+ has been listed online on Amazon that confirms the details about the screen. Before starting, keep in mind that we never 100% guarantee any leak to be legit so, take this one with a pinch of salt. As you can see in the image above, the front panel has a plenty of sensors which include the normal sensors as well as the Iris Scanner. So, surely the phone will inherit the Iris Scanner from the Note 7. 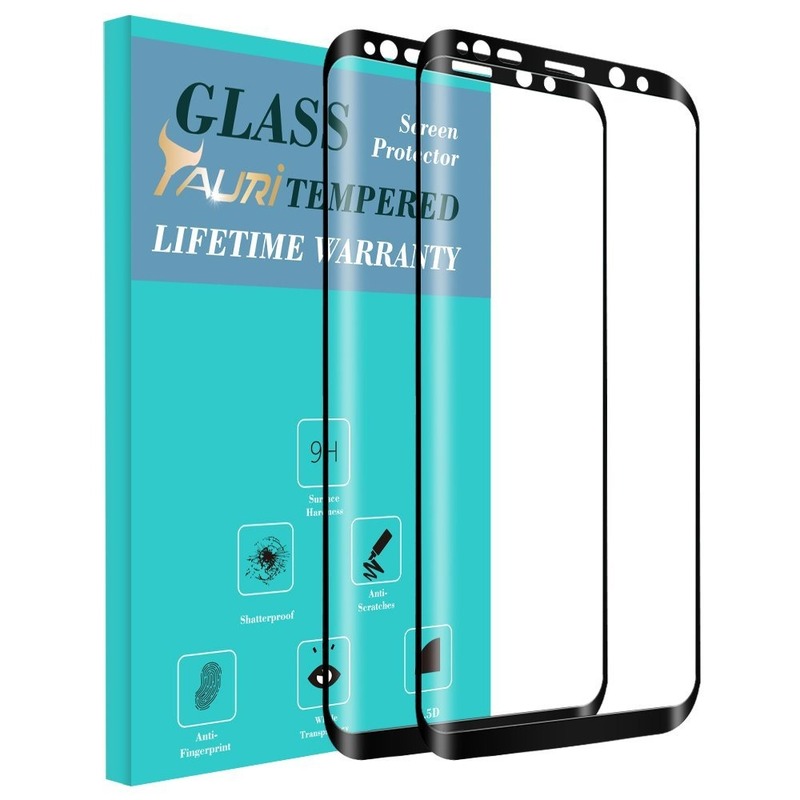 While we can see the holes for Front camera, proximity sensor, speakers and Iris scanner, there are still two extra holes left. We cannot see more sensors on the renders of the phone, but maybe there are a couple of sensors more. Also, yet again the absence of buttons on the front has been confirmed along with the bezel-less display. Not just on the sides, but the display has very less bezels on the top as well as the bottom. Surely, this device is going to have a Screen-to-body ratio more than 80%. We can see that the volume rockers are on the left and power button is on the right, but if you see carefully, there is one more button below the volume rockers. This is said to be the button to launch Samsung’s new Bixby AI Assistant. Talking about the specifications, the S8, as well as the S8+, is powered by Snapdragon 835 along with Adreno 540GPU. There is 4GB of RAM, and the internal storage starts from 64GB that might go up to 128GB with the option to expand with SD card. The standard S8 is coming with 3,000mAh battery whereas the S8 Plus will feature a slightly bigger 3,500 mAh battery. The phones are coming in March, and the expected launch date is March 29th. As said in the beginning, take this leak with a pinch of salt. Stay Tuned for more updates.